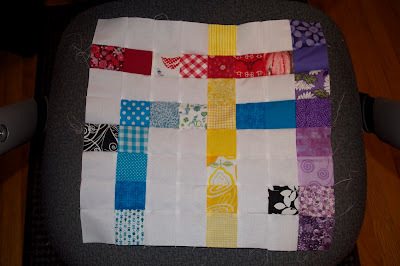 I'm LOVING this quilt - all the colors and the cute, fun patches tucked in here and there, it's quickly becoming one of my favorite quilts! 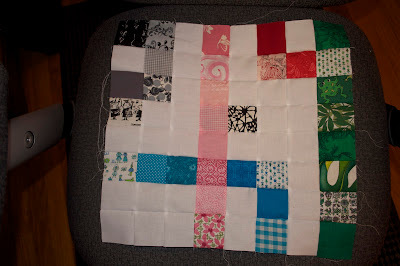 I already have 5 blocks completed and sewn into the 1st row. This quilt is moving along very quickly! After spending hours and hours cutting those 2.5 inch pieces thinking it would never-end, the actual sewing is a breeze, however all the pinning to make the squares line up just so is a little bit time consuming, but it's worth it! ;) It's been fun laying out each block making sure I've followed the pattern correctly - it's easy to forget where I'm at in the pattern on this one. Again, I have to thank Oh, Fransson! 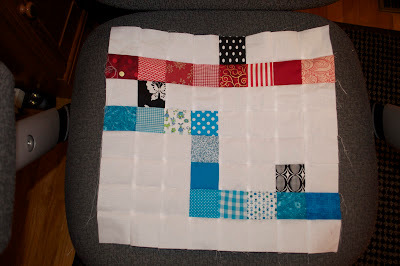 for coming up with this quilt along project! She has fabulous instructions and a great pattern map to follow! 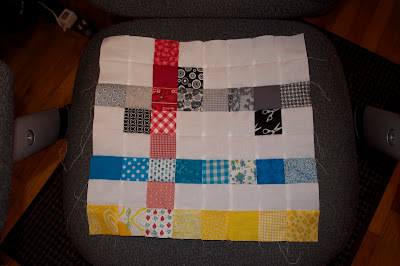 Here are Blocks 1-5 & Row 1 completed. Block 1 - Can you see the cowboy hat scissors, lemons, and strawberries? 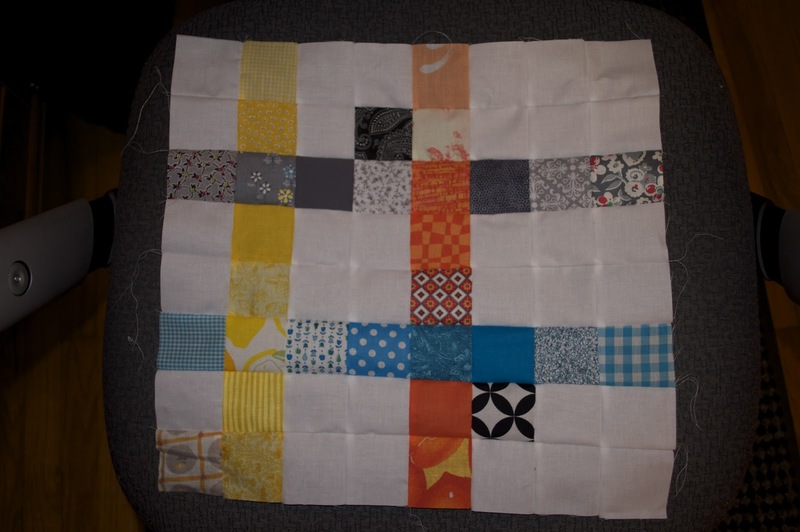 Block 2 - Can you spot the orange slices and birds? Block 3 - Can you see the band playing and a frog leaping? Block 4 - Lemons, sailboats, and longhorns - oh my! Block 5 - There is a butterfly fluttering by in this block.